Lou Bouillaguet joined LALIVE as a trainee in July 2018. Before joining the firm, Lou Bouillaguet worked as an Assistant Legal Officer in Chambers – Trial division at the International Criminal Court. In 2015, he took part in a summer internship at Lenz & Staehelin in Geneva. 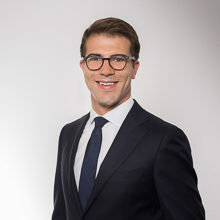 Lou Bouillaguet holds a Bachelor (2015) and a Master of Laws (2017) during which he completed exchange programs with the University of Zurich for a year (2014) and the University of Utrecht for a semester (2016). During his Master of Laws, he won the Prix “Corneille” 2016 as part of the trial of Busiris, a pleading contest, and the Prix Atlanta Faure 2016. He also holds a Certificate of Advanced Studies in Legal Professions (2017) from the University of Geneva.